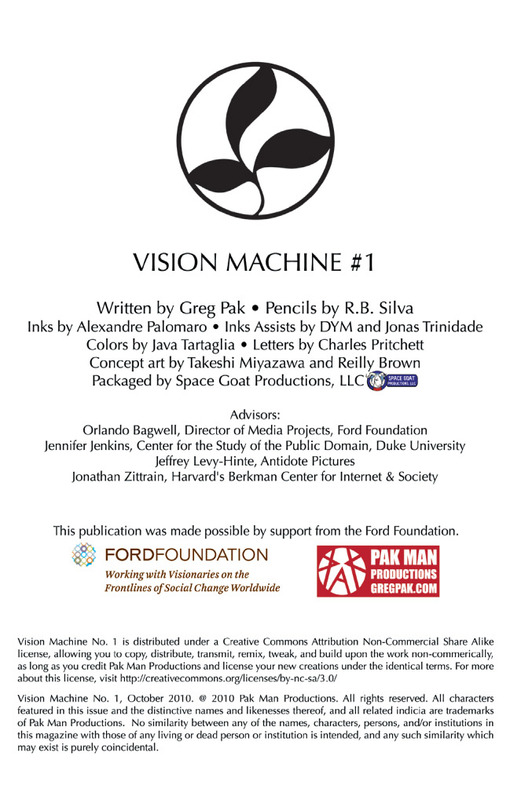 The Awesomed by Comics podcast has chosen “Vision Machine” #1 as one of its Books of the Week! The “Vision Machine” discussion begins around 1:05:40.
download the Comixology app and get “Vision Machine for your iPad or iPod. 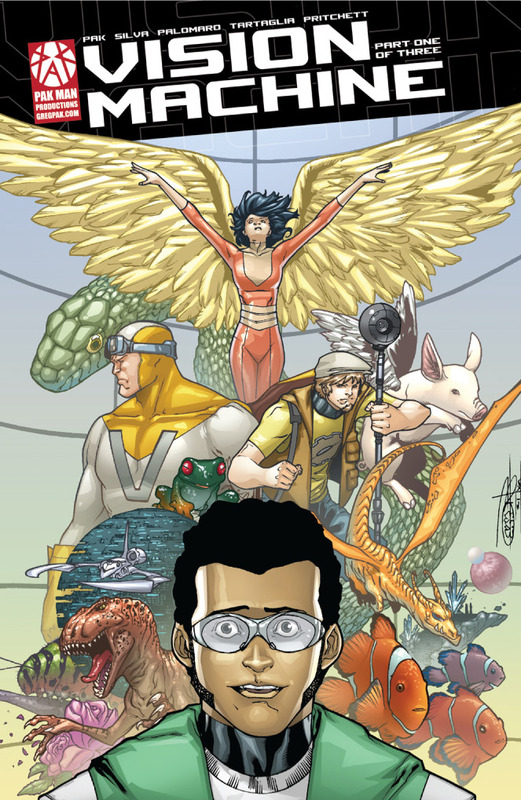 “Vision Machine” #1 now online at Comixology! 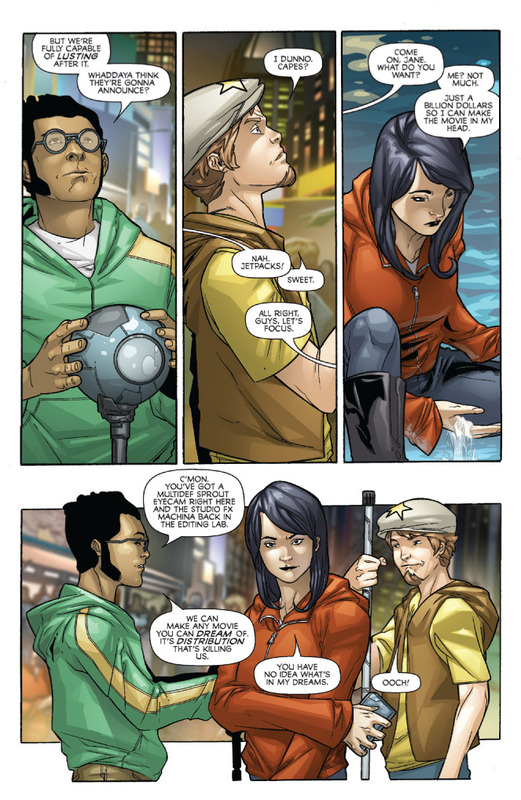 Greg Pak’s comic book “Vision Machine” #1 can now be read in its entirety FOR FREE at Comixology.com! Click here to read and rate the book. And click here for a brand new interview with Pak about “Vision Machine” from Charlie Jane Anders at io9.com. Finally, if you’re attending the New York Comic-Con, come to the “Vision Machine” panel on Sunday at 2:30 and get your free USB drive! 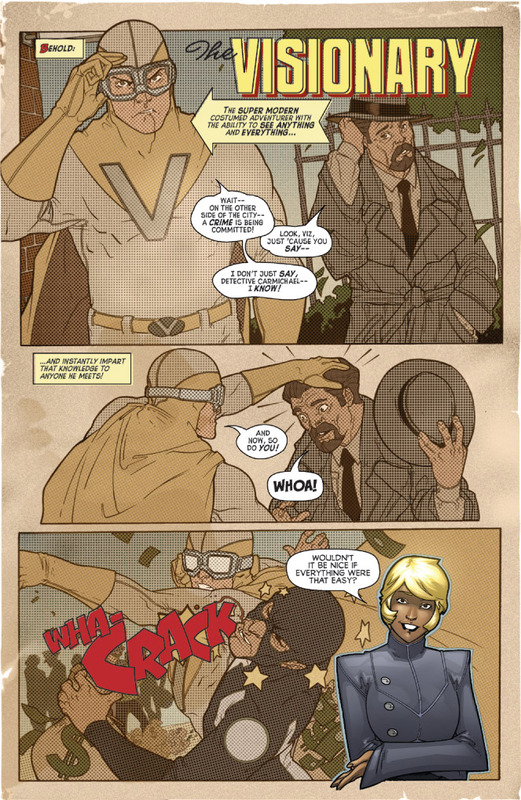 Comments Off on “Vision Machine” #1 now online at Comixology! At long last, click on the images below for a six page preview of “Vision Machine” #1, which will debut this weekend at the New York Comic-Con. 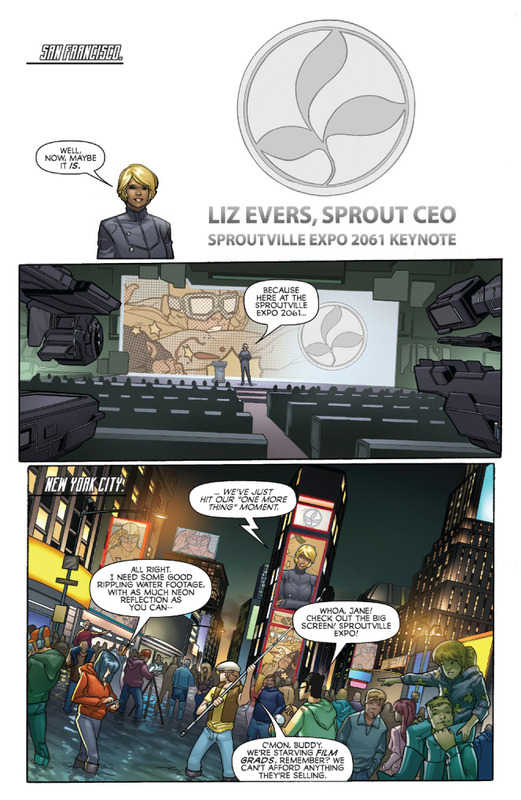 If you’re attending the NYCC, be sure to come to the Vision Machine Panel on Sunday at 2:30 pm in Room 1A14 — where you can get the whole issue for free on an awesome Sprout Computers USB drive! Comments Off on “Vision Machine” preview! Writers Greg Pak, David Henry Hwang, and Deanna Fei will be on a panel called “Writing about the Asian Body” at St. Johns University in Queens, New York, at 4 pm on Friday, October 8. 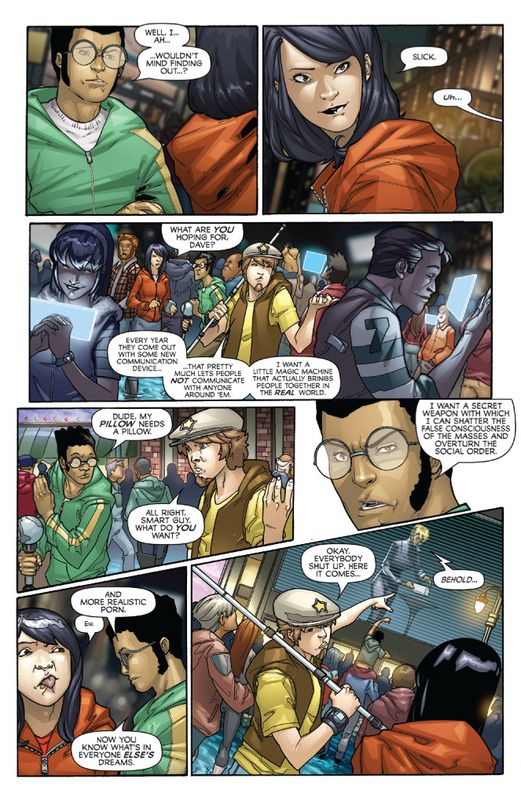 Free Greg Pak comics will be given out to the first 100 people! Greg Pak’s “Mister Green” screens along with the other short films in the Futurestates series in the Moving Image Festival in the Bay Area, 1:30 pm, Saturday, October 9. The screening is FREE! Check out the gorgeous “Vision Machine” #1 cover, pencilled by RB Silva with inks by Jonas Trinidade, colors by Java Tartaglia and typography by Charles Pritchett! “Vision Machine” #1 will debut at the New York Comic-Con. Join us for the “Vision Machine” panel at 2:30 pm on Sunday, October 10! Comments Off on “Vision Machine” cover unveiled!